Is That Really Taylor Swift As Dazzler In 'X-Men: Apocalypse'? 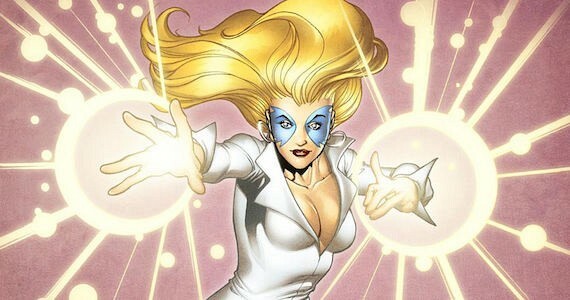 Dazzler is one of those X-Men characters that fans of a certain age love, but they only love her for when she was at her least cool. The character, real name Alison Blaire, is a mutant with the ability to turn sound into light, but she's mostly known for being an intergalactic rock star. She was created to be a reflection of the disco craze that was sweeping the country at the time, but that quickly died just like the music itself. Her time with the X-men was pretty short (she was in a really weird relationship with my favorite X-Man, Longshot), but the disco-inspired Dazzler gained a huge fan base. And apparently it's big enough to land her a tease in X-Men: Apocalypse. Sophie Turner, who plays Jean Grey in the upcoming film, tweeted this image that shows Cyclops (Tye Sheridan) holding a Dazzler record album. "#FBF that time Cyclops and I went shopping at the mall and found our favorite singer’s album (pre 1989, of course)." Did Swift spend her time on set rockin' out for mutant rights? Maybe, maybe not. X-Men: Apocalypse takes place in the 1980s, and Turner's caption makes it clear she's speaking as Jean Grey not as herself, so the '1989' reference may have been nothing. And even if it is her, does it really matter if all we see is her on a record album? This is a novelty like Nathan Filion's totally random (and meaningless) appearances in the Guardians of the Galaxy films. Kinda cool for those who notice, but overall they have no impact on the movie. I also remember a few years ago when Bryan Singer hit fans with an April Fool's Day joke claiming Lady Gaga would be playing Dazzler in X-Men: Days of Future Past. Far too many people bought into that one. X-Men: Apocalypse opens May 27th, with or without Taylor Swift.